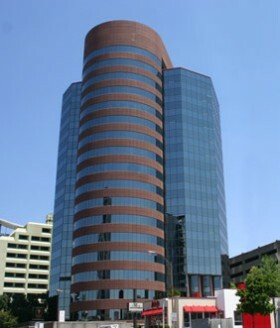 The Nashville campus is located in the heart of the city, in the modern, 19-story Palmer Plaza Building at 1801 West End Avenue. The MBA Program and the Marketing Department for the College of Professional Studies are both headquartered at this campus. Classes meet on the second and third floors, Monday through Thursday evenings, and most seminars are held in the spacious third-floor auditorium. Students have access to free covered parking in the attached garage, as well as multiple classrooms equipped with complimentary wifi; each floor boasts a small break room with water and coffee, and there is a convenient an on-site restaurant open for breakfast and lunch daily.